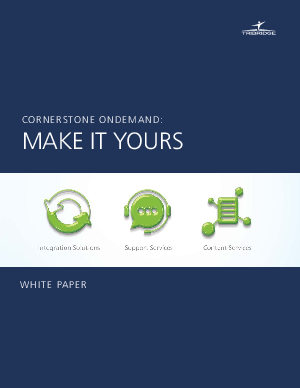 Cornerstone OnDemand is among the most powerful talent management systems on the market. But just as your organization needs to fine-tune any other enterprise software program to meet your unique needs and business goals, you’ll also benefit from molding and shaping Cornerstone to ensure you deploy, integrate, and manage your talent management system as optimally as possible. The alternative is to risk lower-than-desired user adoption, system inefficiencies, poor or missing integration with other HR systems, and analytics that fail to clearly support learning outcomes and drive business goals. That’s where Tribridge HCM comes in.